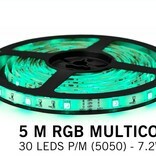 12V RGB LED strip with 30 LEDs per meter. Ideal for decorative color accents. The power consumption is only 7 watts per meter but still outputs up to 500 lumens per meter! 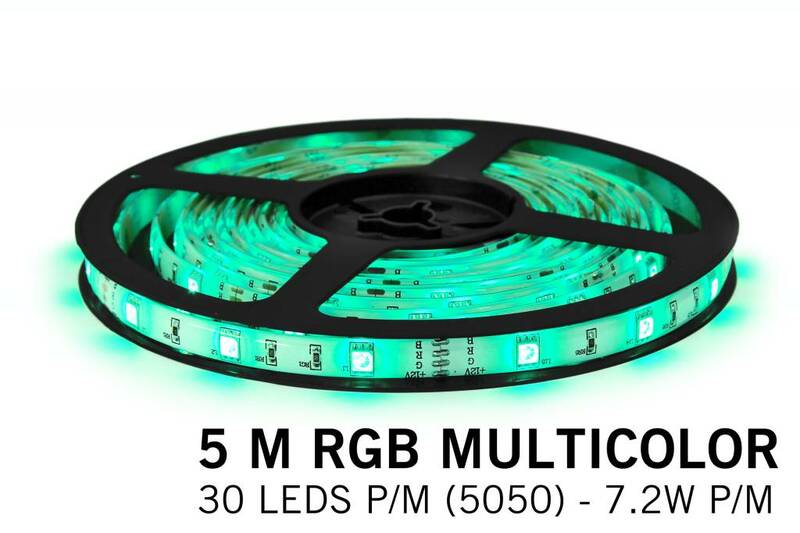 The LED strip with 30 LEDs per meter (total 150 LEDs) has a length of 5 meters and has 4-pin RGB connectors on both sides.